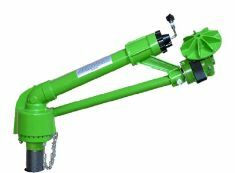 Replaceable nozzle ends and movable water jet breaker system allow you to water your land excellently with a unique water distribution. It rotates full and part circle in the same speed. The smallest nozzle is 20mm. It requires minimum 27 tons of water per hour thanks to this nozzle. The biggest nozzle, 28mm, consumes 76 tons of water per hour. It is the multifaceted model in the range of our products. It is widely used for field crops such as corn, sugar beet, potato, alfalfa, wheat, etc. 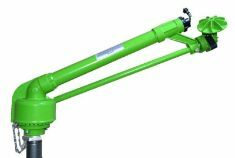 Appropriate for all Agricultural and Industrial applications. Quick-adjustable nozzle that comes as standard with the product allows quick adjustment for high rotation at low pressure, slow rotation at high pressure, thus appropriate for all kinds of irrigation applications. 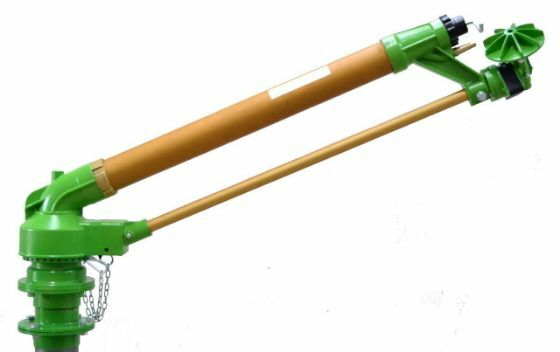 Extra Properties: It ensures event distribution of water excellently for short, medium and long distance thanks to two-hole nozzle mechanism; movable and adjustable water jet breaker and body angle of 27º makes this multifaceted model easy to use for irrigation and cooling of the orchards, field crops and for industrial applications. I've tried several sprinklers through the years but this one is BY FAR the best I've ever tried.The quality of this sprinkler is SUPER! !I have NEVER seen a sprinkler in this quality! This is a great sprinkler for large areas. I easily use most of my field. Different pressure adjustments allow for more dust control. I bought this to replace my expensive Nelson SR 150 impact sprinkler head, and I found it definitely way better than the old one. The old impact one had the same 2.5" inlet but also lots of moving parts making lots of problems in time. 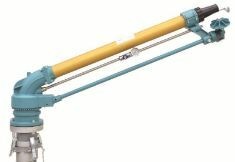 It is easy to install with its quick coupling, does not require inordinate amounts of flow or pressure, and is more pleasing from an engineering point of view. So pleased that I have discovered ducar green 150. Perfect uniformity! I got this sprinkler with the Casella hard hose irrigator and it works perfectly. Very easy to install and operate. Use it for more than a year and still gives the same performance. Definitely will recommend this sprinkler for large area irrigation.